$1299.99 $1899.00	Get Your Stuff! Winner of the 2016 Consumer Electronics Show ‘Best of Class’, the Typhoon H is a Hexacopter Drone With Collision Avoidance. Yep, you read that right. This drone has built-in RealSense tech from Intel (sonar) which enables it to automatically avoid running into obstacles regardless of how bad your piloting skills are. This is really handy when using the “Follow-me” mode to get video of yourself doing something awesome/stupid. 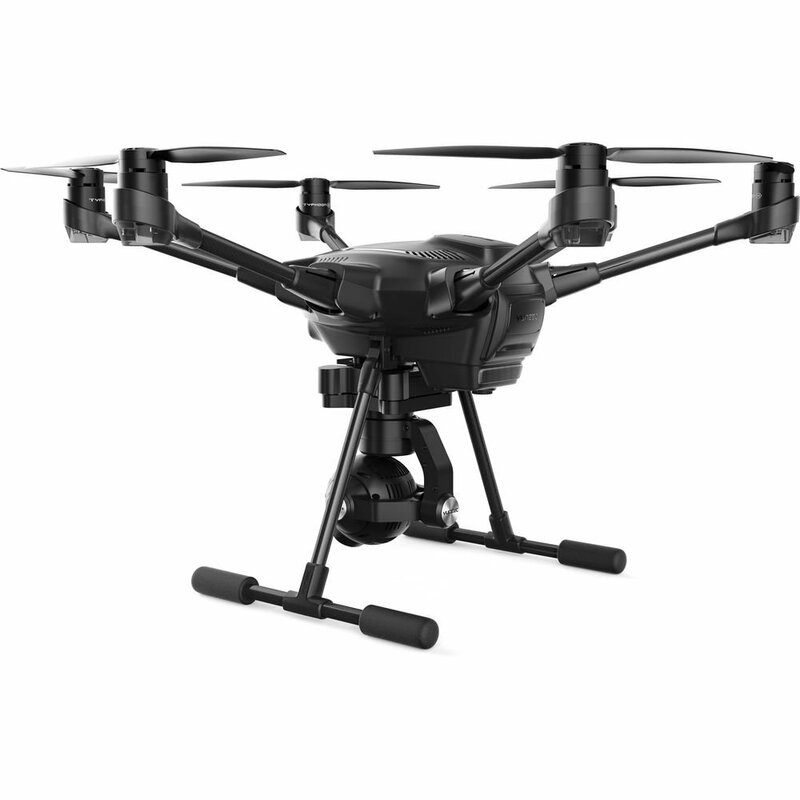 The Typhoon H provides capabilities usually only found in high-end professional drones, yet at a consumer price. Things like 4K video, auto takeoff/land, GPS stabilized flight control, and a controller with a built-in 7″ video screen. As the title implies, it’s a Hexacopter so it features 6 rotors instead of just 4. This offers a few advantages over traditional drones. First, the 6 rotors are more stable than 4. In addition, there’s enough redundancy that a rotor can fail and the Typhoon H can still fly on the remaining 5 as opposed to falling out of the sky like a drunken goose. If you can actually fly a drone without hitting things, You can get a version without RealSense and same some cash. Oh, one of the coolest features of this drone is the retractable landing skids. I don’t know how many times an awesome shot got messed up when using my DJI Phantom 3 because the skids got in the way. With the Typhoon H, that’s never a problem. Now, there are a few downsides. For example, you can’t playback video “on the fly” (no pun) using the remote’s screen while in flight. To playback your video, you’ll have to land and pull the SD Card. In addition, the battery pack does not have a built-in battery gauge. However, these issues tend to be more annoying than deal-breaking. So, if you’re looking for a professional-quality drone at a reasonable price, this might be the drone you’re looking for. Android powered ST16 ground station features a 7-inch touchscreen. Includes a backpack for carrying/storing your drone. 6 Rotor safety with 5 rotor fail-safe. Up to 25 minutes of flight time.